← Fighting Traffickers or Migrants? Note from the LeftEast editors: this article has been published in collaboration with the Balkan web-portal Bilten. One of the foundational myths used to assess the political climate in the Balkans juxtaposes a western, genuine capitalism to a primitive balkan kind. Corruption lies at the core of this distinction. The story of the Macedonian telecommunication market not only unmasks the misconceptions underlying that myth, but also points to the crucial role played by international corruption in the workings of the ‘free market’. “A lawyer with his briefcase can steal more than a hundred men with guns” – goes one of the infamous quotes from the original script of The Godfather. Although it was never actually spoken in the movie, it has found its way into contemporary affairs, albeit in a new and reinvigorated form: “A politician with a pen, can steal more than a hundred lawyers with their briefcases and a thousand men with guns”. It is in recent Macedonian affairs, where we find one of this quote’s most sophisticated contemporary applications. One affair in particular, that of the Macedonian Telecom, reveals how foreign business interests, intermingle with corrupt domestic politicians in criminal networks designed to reap financial benefits at the expense of the domestic public. The consequences however, extend beyond financial damage, as they spill over into wide-reaching political and social consequences. In 2011, the United States Department of Justice (DoJ) and the Securities and Exchange Commission (SEC) charged the largest telecommunications provider in Hungary, Magyar Telecom, and three of its former top executives with bribing government and political party officials in Macedonia. 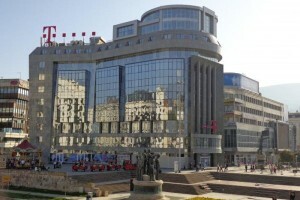 Magyar Telekom, a subsidiary of Deutsche Telekom, had bought Macedonian Telecommunications back in 2001. What made the case of the Macedonian Telekom admissible within the jurisdiction of the US Court was the presence of Deutsche Telekom as a trader of securities on Wall Street. 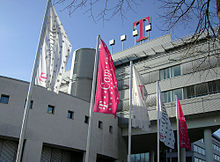 Magyar Telekom, one of the numerous european telecommunication companies owned by Deutsche Telekom, added also Macedonian Telekom to its portfolio in 2001. In the years immediately following the acquisition, and particularly in the period between 2004-2005, it ‘invested’ over $6 million in bribes paid to Macedonian Government officials and regulatory authorities to delay the opening up of the telecommunication market and to obtain other regulatory benefits for the company. Following an investigation conducted by the SEC, the Magyar Telekom and its parent company Deutsche Telekom agreed to pay $95 million to settle civil and criminal charges in relation to the case in Macedonia, and a similar one in Montenegro. The financial compensation obtained through the settlement was distributed between the prosecutors: the US Department of Justice and the SEC. The true victims, in this case the Macedonian citizens who suffered the consequences from the over-priced bills for internet, telephone and mobile have received no compensation. The artificially maintained duopoly on the Macedonian telecommunications market between 2005-2007 (with the second operator until the liberalisation of the market in 2007, Cosmofon, had a far smaller market share) is estimated to have caused over 38 million euros of damage to the Macedonian citizens. In the initial case brought in front of the court in New York all the blame was shifted to the corporate entities: Deutsche Telekom AG and Magyar Telekom. However, the SEC simultaneously filed civil claims against the three former Magyar Telekom executives who authorized the bribes, alleging that they were responsible for orchestrating the dual schemes in Montenegro and Macedonia. The executives are attempting to use the lack of evidence in their defence, however as the Commission’s investigation of the case is ongoing, new evidence is constantly surfacing against the accused. 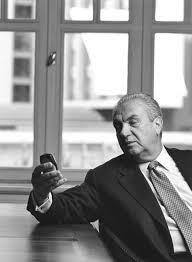 For instance, it has begun to transpire that the bribes were around 13 million dollars- almost double the initial sum. Moreover, in the ongoing case it has emerged that bribes were paid to a significantly larger number of Macedonian figures from across the political spectrum. In his testimony in front of the court in New York in December 2014, Slobodan Bogoevski, former Macedonian Deputy Secretary for State Security, revealed the names of three top officials from the ruling coalition back in 2005, alleging they have received bribes of around €7.5 million. Two of them: Ali Ahmeti and Musa Xhaferi are part of the current Governmental coalition, from the ethnic Albanian party DUI (the Party head, and its deputy, respectively). The third official under suspicion is Vlado Buckovski, who back in 2005 was a Prime Minister from the SDSM (the Social Democrats). Neither the corporate nor the civil claims in New York have stimulated similar proceedings in the Macedonia courts. This is not for lack of awareness: Simo Gruevski, a former member of the Board of the Telekom first reported the case in 2004. In 2007 he submitted a case to the Public Prosecutor, whilst additional evidence had also been delivered to the Prosecutor by Transparency International. Nonetheless, more than five years after the US agencies began their inquiries, the case has not been opened in the domestic courts, in what can be seen as further confirmation for the politicization and corruption of the judiciary and the Office of the Public Prosecutor. It is understandable why the SDSM did not open an investigation against its own government, but that begs the question of why the governing VMRO-DPMNE, would also resist the opportunity which the case offers to discredit former officials from the SDSM- their chief party opponents? The reason is that this would amount to VMRO shooting itself in the leg. Firstly, it emerged that the governing coalition is not clear of involvement from this affair. VMRO’s current coalition partner DUI is highly implicated in the case, which is an obvious obstruction for the opening of the case. Secondly, following VMRO’s coming to power in 2006, it took another year and four months, before in 2007 the market was liberalized and a third operator entered, which brings suspicions that they had also reaped benefits from the shady deal as it extended into their mandate. An additional reason could be the implication of the former Minister of Interior in the VMRO Government- Gordana Jankulovska and other high officials from the party, in a private firm called Analitiko . Through this firm, between 2002-2005 additional funds are alleged to have spilled out from the Telekom, as the profits from incoming telecommunications traffic was outsourced to the firm. In fact, one of the wiretaps released in the spring shows Jankulovska revealing an intention to coordinate with the public prosecutor Marko Zvrlevski over the Telekom affair. That wire-tap was only one in 30 batches of wiretaps which the SDSM had been releasing to the public following its revelations regarding the illegal surveillance of over 20,000 citizens. It is possible that the suspicious wiretapping software used to conduct the surveillance was used either in direct collaboration with the Macedonian Telekom company, or with Telekom’s decision to turn a blind eye on the practice. Finally, the reason why the governing VMRO might fear this case is that it may reveal further shady criminal links, which are currently kept hidden. For instance, the key intermediary in executing the bribes is said to be the Greek national Dimitris Kondominas, whose off-shore firms in Cyprus were used for conducting the transfers of the bribe. He is also well known as one of the investors in the Skopje 2014 project, which brought him at least two profitable purchases: a hotel on the main square in Macedonia for only 630,000 euros (he was the only bidder at the auction), and a former army building. These cases reveal the practice and persistence of deal-making bridges between business and politics, as contacts and allegiances made through one deal are likely to extend to another solidifying and strengthening the corrupt networks and their utility. What is more they reveal that corruption should not be considered exclusively as a malfunction of young democracies but should be considered in its full context. The person receiving a bribe is at end of the corruption chain, whilst at its beginning often there are the bribers, often international businessmen. What is more, the case of the Macedonian Telekom reveals the inadequacy of the existing legal system to keep up with the transgressions of complex international corrupt networks. 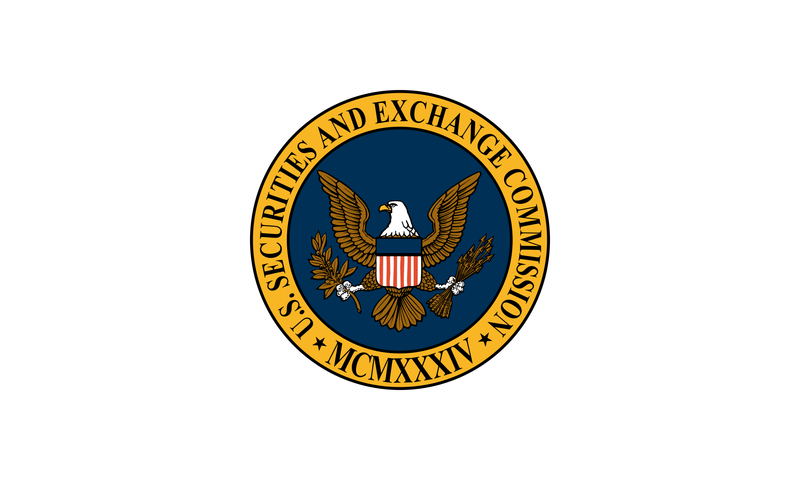 The jurisdiction of the SEC and the DoJ, extends only to US companies, or those companies which list their securities on the US stock exchange market. Had Deutsche Telecom not been listed on the stock exchange, the case of the Telekom would never have been opened. But even as it is, the available sanctions do not seem capable of compensating the truly damaged- the citizens. The benefactors of the settlement in the case of the Macedonian Telekom were the American agencies which in fact suffered no damages, whilst the Macedonian citizens lost access to a public resource, which in today’s digital age has an ever growing social importance. What is more they also suffered from the higher bills but have not yet received any compensation from the described findings in the investigation. The Magyar Telecom affair case also reveals how the pacts between corrupt politics and business are used to empower corrupt politicians. Namely, the same bribes which public officials take for exploiting state resources and corrupt deals can be reinvested towards maintaining their political power and control over further state resources to be exploited, or more Judges to be bribed. In this context, the resilience of authoritarian rulers, across the region should also be seen in relation to the international corrupt symptoms of the neoliberal economic and political system.